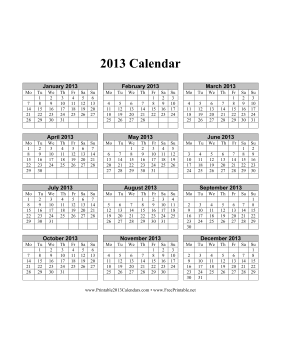 The year 2013 is conveniently displayed on one page on this vertically calendar. Each week starts on Monday. You can download this calendar in PDF or customizable DOC format. Free to download and print.